The Elan gHR200 remote control by Elan Home Systems is the only handheld user interface in the Elan g! home automation system, but it is a beautiful piece of hardware. In short, it has a 2.4″ touch screen display with two-way feedback. It operates on wifi instead of traditional RF or IR based systems. Let’s break down some of it operation and features. 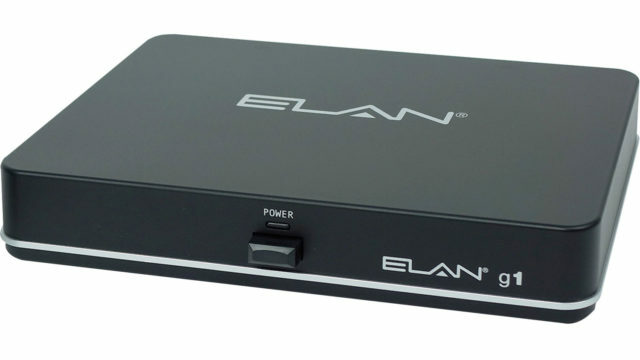 Click here to purchase an Elan g1 with gHR200 remote. Click here to see a video of the new Elan HR10 side by side the gHR200. The Elan gHR200 remote is very easy to use. Although the exact operation of the remote control depends on the programming, the key concepts are always the same. It has three buttons below the touch screen that toggle between key features. When pushed, the media button will always return the remote to a screen that offers a list of devices to either watch or listen to. In the video above, when the media button is pushed it offers the option to watch Tivo, Apple TV, Blu-Ray, or Kaleidescape. In the video, the first button that was pushed was the Tivo button. When pushed, the TV and surround sound receiver automatically powered on and switched to the correct input. By hitting one button, the user is now watching Tivo. The remote then switched to a page offering the user control of all Tivo’s functions. From any screen, press the media button again to choose a new device. The gHR200 remote can be used in more than one room. The room with the charging cradle is typically set as the default room. When the remote is removed from the charging cradle, it will automatically be activated to control the default room. When the rooms button is pushed, it will offer other available rooms that the gHR200 is programmed to control. After changing rooms, a press of the media button will display the list of devices to watch or listen to in the newly selected room. When it is returned to it’s charging cradle it will return to it’s default room. The programming of the default room is optional, and should be discussed with the programmer. The third button on the gHR200 is the home icon. This offers control over home sub-systems as opposed to a specific room. In the demonstration video, the home icon offers the user a choice for climate and lighting control. When climate is selected, the remote proceeds to the first floor thermostat. 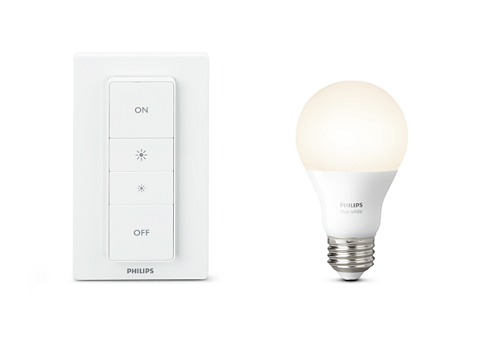 When lighting is selected, the remote proceeds to the family room lighting and shade control. If the “Home” button on the touchscreen were selected, it would offer the user the ability to open the front gate, which was a custom option designed to fit the home owners particular needs. The remote is capable of controlling audio, video, climate, lighting, and security. While the remote is fully capable of performing most features of sub-system control, we like to limit our recommendation to controlling specific rooms that have video displays. The gHR200 really shines when it comes to watching TV and making quick adjustments to lighting and climate. It is not recommended as a primary use of control for any operation other than watching TV. However, if you are setup to use a gHR200 then you are by default setup to use the Apple and/or Android apps, or a gTP7 7″ in-wall touch panel. These devices have larger displays so we like to limit our recommendation of remote usage to watching TV and making other quick adjustments while taking advantage of the larger screens as a primary means of controlling the rest of the home. Traditionally, remotes communicate to a base station through RF (radio frequency), or they directly send IR (infrared light) to the equipment. RF requires the user to be within a certain range of the base station, which is usually limited to less than 25′. IR is even more restricted by requiring line of site to the devices. However, the Elan gHR200 communicates with the base station via wifi. So long as the user is within range of any wifi access point the remote will function flawlessly. There is no need to point the remote at a particular device. Wifi is network based, which means that communication between the remote and the base station is a two-way street. Unlike other control companies, Elan really focused on the feedback portion of the gHR200. Not only can the remote turn on devices to watch or listen, but it can also recognize manual inputs to the equipment. It sounds complicated, but it’s simple. If the surround sound receiver was manually turned on with it’s power button and then switched to the “Tivo” input then the TV would automatically turn on and switch to the correct input. The gHR200 would then automatically give the user control over the Tivo box. All this with no user input to the remote control. Two-Way feedback also offers data from home sub-systems. In the video, when climate control was selected the remote displayed the current temperature of the room as well as the current set points. It’s receiving information from the system and displaying it to the user. 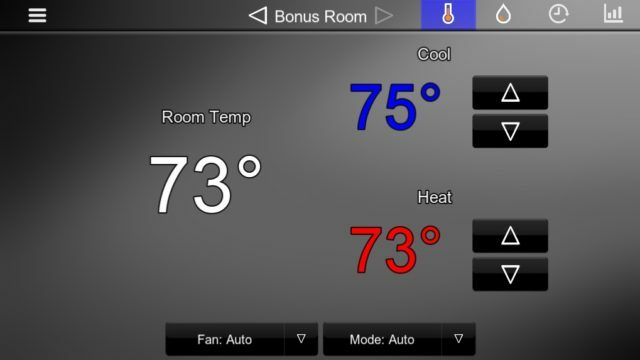 The user can also change the thermostat set points. Two-way feedback is also apparent when listening to a device such as Sonos. When Pandora is selected, it receives and displays the list of Pandora stations. The Elan gHR200 communicates with an Elan g! system controller that manages the actual operation of devices through IR emitters, RS232 ports, and TCP/IP. The ability to use control protocols beyond infrared light greatly enhances the user experience. For supported third party surround sound receivers, TV’s, and media players the gHR200 will send and receive network data as a means of control and feedback. For instance, if using Denon CI surround sound receiver the remote will send commands over the network to power it on, switch the inputs, and control the volume. If the volume is adjusted manually on the receiver, the change will be reflected on the remote control. In the example of the media player, the remote will list available artists, songs, or internet radio content. The gHR200 can also send one-way IP commands. In the example video, the gHR200 was controlling the Tivo box exclusively by using the network. There was no conversion of network commands from the wifi remote to that of RS232 or IR. 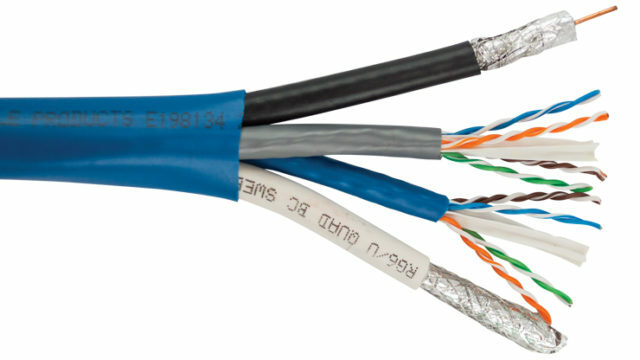 By using one-way IP commands it ensures the highest speed and fidelity of the issued commands. Most importantly, it doesn’t rely on an IR emitter to flash invisible light into a little receiver on the equipment. If that IR emitter becomes unstuck from the equipment, the system breaks down, but this doesn’t happen with network based control. The newest feature of the gHR200 network control is the ability to use HTTP protocol. HTTP is becoming more prevalent as it is a simplified version of one-way IP commands that were sent in ascii or hexadecimal format in the same manner as RS-232. The most popular devices using HTTP protocol are Direct TV receivers. The gHR200 can control these devices entirely over the network without IR or RS232. Not all devices were designed for the rigors of the custom integration market, but the gHR200 can control these devices as well. The RS-232 control still offers two-way feedback if the devices are supported. The IR control offers more customization than typical remote controls. There is the capability to edit IR preambles, command timing, and even frequency adjustment. IR commands can be learned or input manually in hex format. 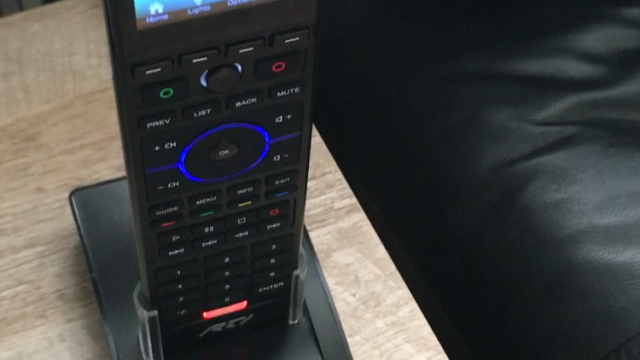 The gHR200 is not a standalone remote control. It can only be used as a control interface to the Elan g! home automation system. However, Elan has introduced the g1 system controller that is affordable for single room applications. Full scale systems controllers such as the gSC2 and gSC10 are great for using the gHR200 in tandem with a more holistic smart home experience. The gHR200, sHR200, and the nHR200 are all built on the same hardware and software. The sHR200 is the remote that is ordered with the Speakercraft MRA-664 multi room audio controller. The nHR200 is the remote that is ordered with the Niles Auriel MRC-6430. These systems are built on the concept of a home with six zones of audio and one zone of video. They use the sHR200 and nHR200 remotes to control what they denote as the “Home Theater” zone. When using the sHR200 or the nHR200 in these applications, there is not much in the way of customization, but the pre-built modules by Speakercraft and Niles Audio are pretty good. They still offer two-way support from some devices and IR command learning. If in an environment where the sHR200 or nHR200 remote make sense, but the user risks out growing the system, there are still options to expand. By adding an Elan g1, gSC2, or gSC10 system controller the Niles or Speakercraft product will be made to act as a slave which keeps all of the processing and amplifier power of the system but unlocks all of the customization afforded by an Elan g! home automation system. The Speakercraft and Niles Audio solutions can be DIY. If using an Elan system controller, or if having made the Speakercraft or Niles controller slave to an elan system controller, the system will require programming by an Elan dealer.